So with this gorgeous weather finally here, I have been crocheting away making these fabby owls and hearts. There is a fab little selection of free patterns available which is great for us newbies to crochet. Perfect makes for teachers gifts at the end of this term! As the crochet seems to be going well, I wanted to share with you my glorious granny stripe blanket. The tutorial for this is available over at attic 24 I would highly recommend doing a small demo type blanket first just so you get the hang of it, the only reason I say this is, if you go ahead into the big blanket and get lost a few stripes through then you will have to go back and start again, this can be most frustrating! Ok here we go with the pics there are lots!!! It covers my rung in the living room, and makes you want to roll on it! It covers my 3 seater sofa easily! And folded ready and waiting to be used. I used Style Craft DK, Lucy also uses this and it crochets up a treat, its also very warm! I have used slightly different colours to Lucy I think its nice to use what ever you fancy, in fact I think this would look just as nice in just a couple of colours or maybe in shades of one colour only, the options are endless! Right must dash catch you all soon! Its been far too long since I last updated my blog! So time for a mini catch up on some of the things I have been up to. This card was made using the paper craft inspriations wedding templates, the papers are by paper mania and are gorgeous they also have some fabulous flowers to match but I didnt use them on this card. Forever friends, I mean there cant be many people out there who don't like forever friends! These are brilliant already coloured and ready to use on any cards, the little embellies that are in this range are gorgeous too! A little LOTV now the colours dont show up so well in this picture which I find a little disappointing but this stamp is so cute! So its been a busy ol few months on the card making front, as well as card making I have been sewing and crocheting! They are offering a £10 spend in their store. So April is also Autisim Awareness Month so with this in mind I decided to combine the 2, hearts with the Puzzle piece/s. The green is to hang anywhere and the little blue ones are for key rings. I have 2 children with Aspergers and my Brother is Autistic, so Autism month means a lot to me and my family as well as many other families, people/children with a diagnosis and carers around the world! Mollies makes is one of my favourite magazines I cant say I buy it all the time as some times I flick through and there is nothing of interest, its usually the felt patterns that grab my attention as they are pretty darn cute! 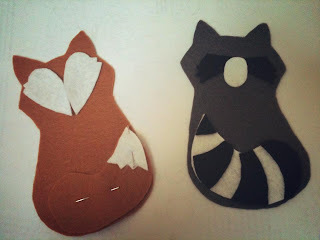 So I set to cutting out all my felt in the colours I wanted. 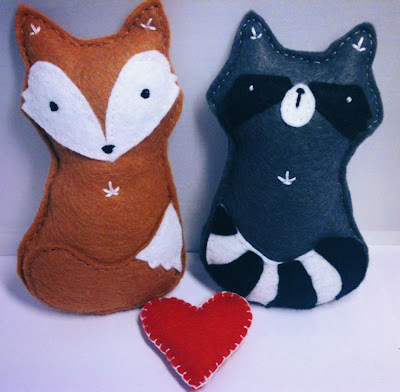 There are some fabby felt Patterns in Mollies makes and online they are so simple to sew!